Learning the alphabet and each letter’s sounds can be overwhelming at first glance, but it doesn’t have to be! 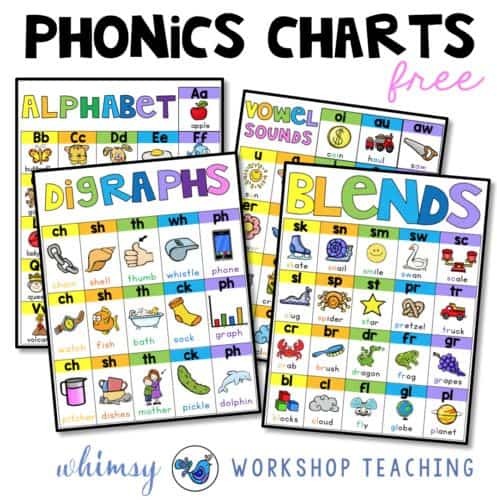 These free, printable Phonics Charts are colorful and so nicely laid out that your child’s eye will be easily drawn to it. There’s a chart for blends, digraphs, and vowel sounds – each one will help your child as he begins his journey to being a reader!